Whatever tyres are fitted to your motorhome, it is essential to the safety and stability of the combination that all tyres are correctly inflated for the applied load. Tyres that are under-inflated are much more likely to suffer from a sudden rapid deflation which can cause loss of control of the vehicle. Find out more about mortorhome tyre safety using the menu boxes below. Ensuring your tyres are correctly inflated provides an even wear rate and a longer tyre life. Find out more here. Use the TyreSafe calculator as a guide to the correct tyre pressure for your motorhome tyres. 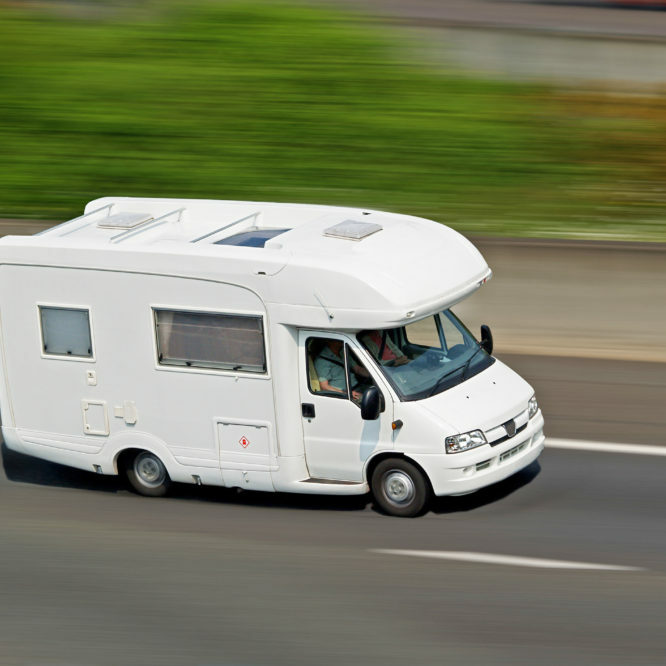 Tyres are the only parts of the motorhome which are in contact with the road. Safety in acceleration, braking, steering and cornering all depend on a relatively small area of road contact. It is therefore of paramount importance that tyres should be maintained in good condition at all times and that when the time comes to change them the correct replacements are fitted.